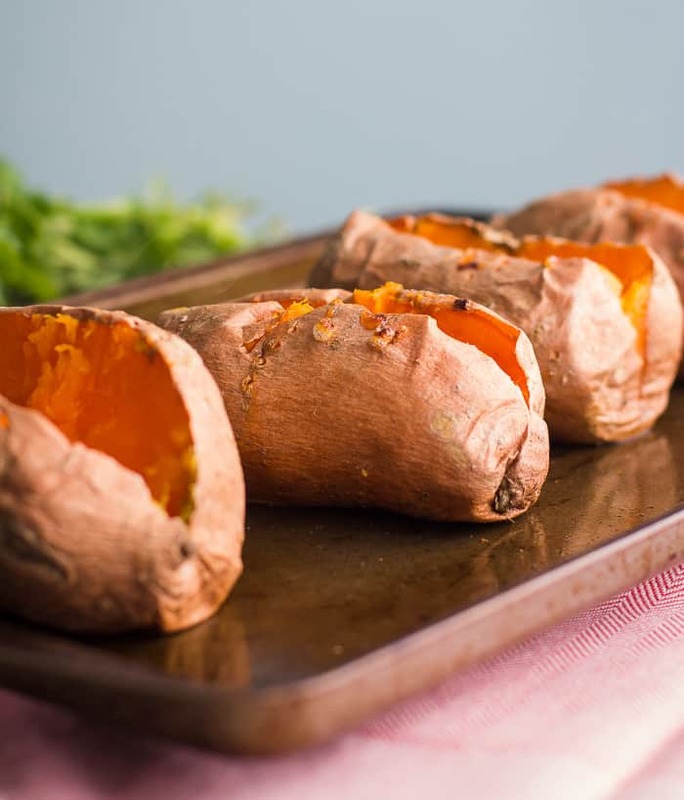 Sweet potato also known as Kumera is best enjoyed with the skin on as many of the nutrients are actually found in the skin including it’s high fibre content. It's loaded with the antioxidant beta-carotene that works its magic as a protector and defender in the body, working for the good of your heart and brain. Beta-carotene also keeps cholesterol from oxidising, which is the process that causes the walls of the arteries to thicken. This vegetable is also cholesterol and fat free, but that means you will need to eat some good fat with it to be able to absorb the beta-carotene and vitamin E. That means a drizzle of extra virgin olive oil, or flaxseed oil, coconut oil or ghee. If you have any avocado this dish is lovely with little chopped avo on top too! So while the vitamins A,C & E and beta-carotene take effect within you can just smile, relax and enjoy a delicious meal full of all this goodness. Bake for approx. 1 ¼ hours at 180 degrees. Filling – Amounts will vary based on how many you are cooking for! The filling takes about 15 mins on the stove to cook. When the sweet potato is half way through baking, start preparing the filling ingredients. In a fry pan melt a little coconut oil or ghee. Add in the onion, cauliflower, garlic, ginger and sauté for about 5 mins. Add in everything else and let it simmer for about 10 mins. Adjust chilli or cumin to taste - on occasion I add in turmeric at this time also. When you have finished cooking there should be a little wetness from the stock in the mixture. Remove the baked sweet potato from the oven and put on the plates before splitting down the middle. Spoon in the filling and top with some Cashew Savoury Cream. If you are adding avocado now is the time to do that. 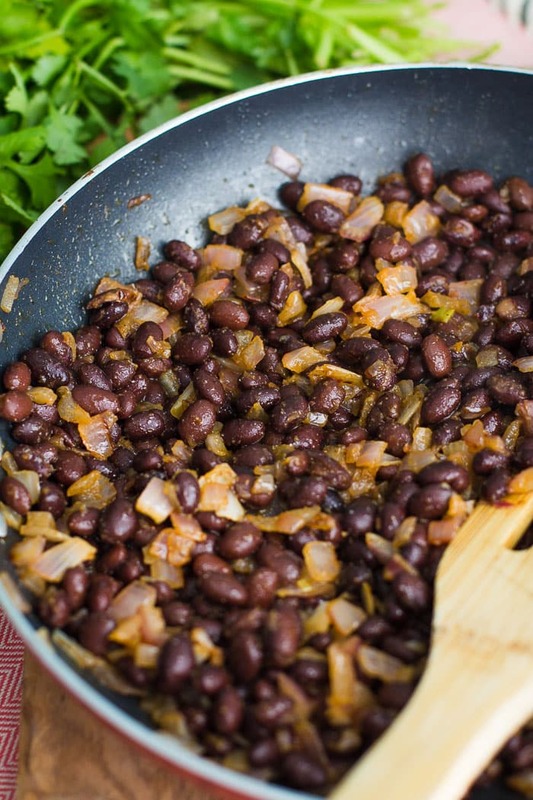 For the finishing touches add a sprinkle of nutritional yeast, fresh coriander leaves, and a splash of extra virgin olive oil or flaxseed oil before adding a good squeeze of lime juice and tucking in to enjoy this amazingly tasteful dish. Drain the cashews and then place in a processor or blender with all of the other ingredients and pulse until it is creamy and smooth. Use as a dip or on top of vegetables, chicken or meat. Dolloped on a Buddha or poke bowl. It works well as a creamy sauce stirred through your favourite pasta. I use it with courgette/zucchini spirals or a mung bean and edamame fettuccine.